3 Beds 2 Baths 1,557 Sq. 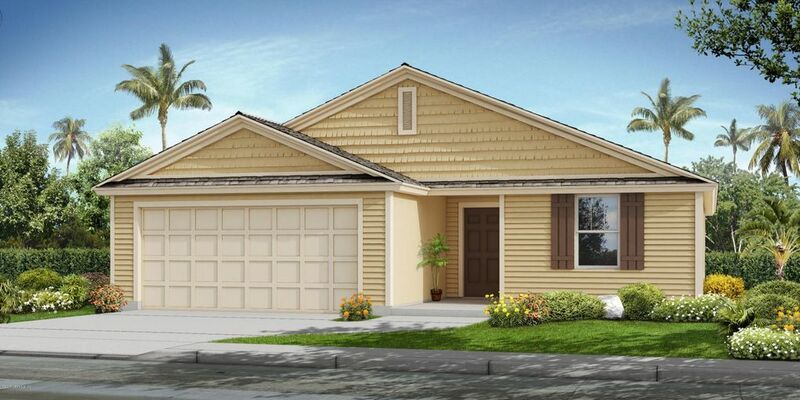 ft.
Pickett's Cove is Express Homes' newest community conveniently located in the popular Northwest Jacksonville, FL area off of Lane Avenue, with easy access to NAS JAX & the Mayport Naval Station. Express Homes prides itself on offering a fantastic value, thoughtfully designed open floorplans and energy efficient features. Homeowners will enjoy being minutes from 1-295, close to Jacksonville International Airport, plus exceptional shopping, dining & entertainment at the new River city Marketplace.Enjoy this quiet and secluded neighborhood in a natural setting with community playground and NO CDD FEES! Hurry, this opportunity won't last long with only 30 homesites in this final offering!